The following is an excerpt from a United States Committee on Irrigation and Drainage (USCID) paper. Among California’s agricultural water suppliers, those dominated by rice cropping will be most strongly affected by the newly adopted Agricultural Water Measurement regulation or California Water Code Section 597 (CWC §597 or regulation). This is because rice is fundamentally different from non-rice crops from a water management perspective. 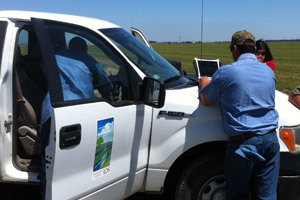 Therefore, water measurement plays a different role as compared to non-rice crops. As a result, measurement generally has not evolved in the same manner for rice water suppliers as it has with non-rice water suppliers. 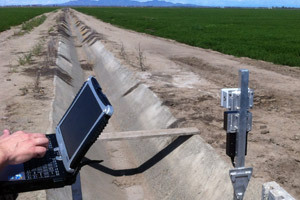 Additionally, the flows and conditions under which water is delivered to rice provide technical challenges to accurate, cost-effective water measurement. In this paper, we summarize the requirements of CWC §597 and discuss the special considerations associated with rice water management and related water measurement challenges. We then describe an innovative, new device that was conceived to enable rice water suppliers to comply with the accuracy standard in a cost-effective manner, including the results of pilot testing during the 2012 irrigation season. Although developed specifically for rice water delivery measurement, the device is applicable to non-rice water delivery also, and integrates with automated water billing processes.